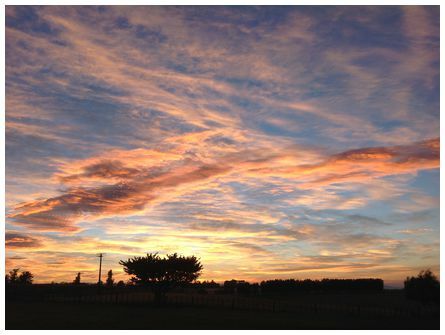 Johnny's photograph of a Manawatu sunrise was taken at 06:50 on 6 March 2015. 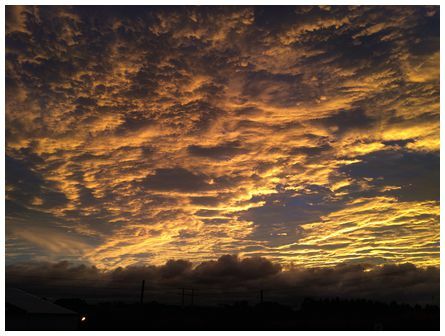 'Cloud creeping in with the sunrise over Welcome Bay from Maungatapu on 5 March 2015' wrote Josefa. 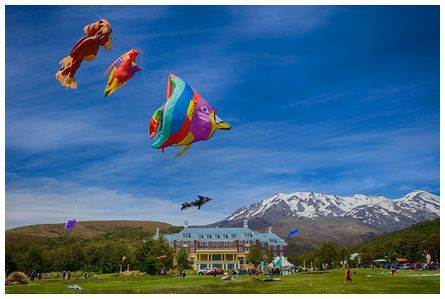 'Hi James, fantasy in the sky - kites above Mt Ruapehu and the Chateau on a fine clear day with a west/south west breeze, view to the south. This is how a good New Year's Day started in Tongariro National Park with lots of kids and parents enjoying the annual kite day organised by Project Tongariro. 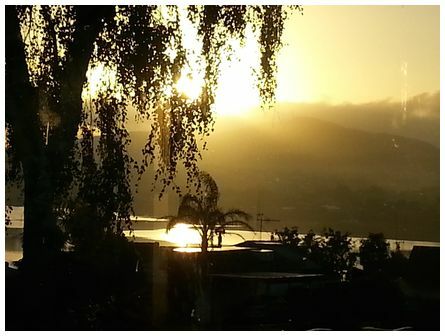 Taken at 11:30 on 1 January 2015. 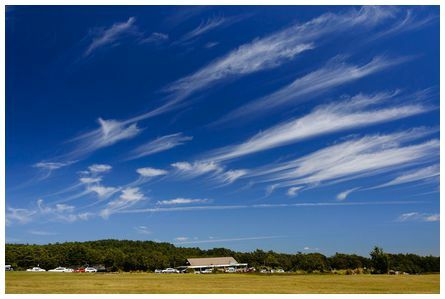 Camera: Nikon D90 - 30mm, f11 at 1/400' wrote Albert. 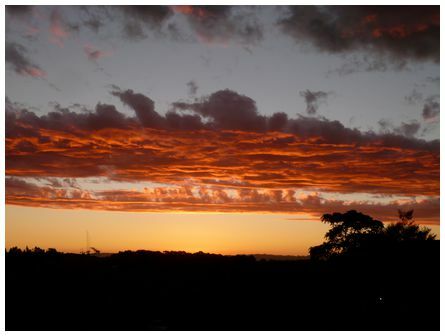 'Dawn rising, strong northerly blowing storm clouds into town. 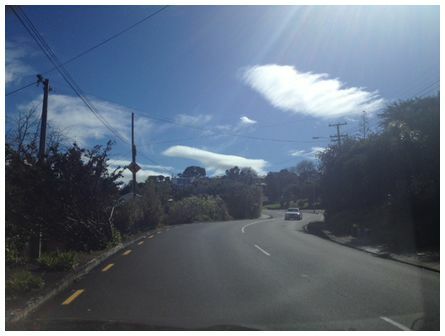 Taken at Tawhiti Road, Hawera at 07:05 on 6 March 2015. Frightened gulls in lower right. Captured on iPhone 5S' wrote David.